For the last couple of years, the electric car DC batteries have been put to different design tests to check out the optimum efficiency. The prototypes were built to test the designs which were offered for sale after making certain designs adjustments. It is fair to say this is an exciting time for electric vehicle (EV) enthusiasts. Today the world has greatly improved battery storage technology which has aroused great interest in the practicality of pure electric cars. Before, no one gave a lot of interest to EV when gasoline prices were relative low and batteries were not up to the mark. Now, the situation is very much different. With the rising gas prices and battery becoming smaller, lighter and able to last longer, the humble electric car is getting much attention these days and is gaining popularity. When EV was introduced to the mass market, there were problems with earlier models because they were powered by Direct Current (DC) energy source. The older batteries which supplied the power were very heavy in weight and have proved ineffective due to battery life. The biggest issue was that these cars required highly powerful electric motor to move the vehicle because the weight of the batteries was very high. Such a drawback limited the range and increased demand for more batteries. More battery means more weight to the car. Can you see how this is a perpetual negative cycle? 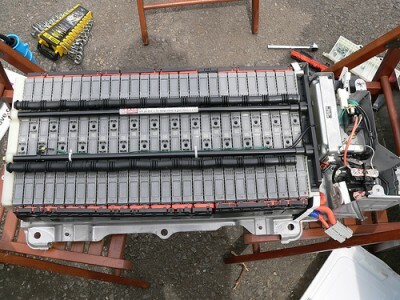 The main goal of EV manufacturers was to reduce the weight of the batteries and have it last longer before needing a recharge. Engineers were desperately trying to find an alternative to DC batteries. Luckily, they have made novel designs improvements on electric cars making it less demanding on the batteries. One system which engineers used was to put a small generator that uses gasoline to charge the batteries. This method proved very effective as this system kept band of batteries enough charge to run the cars on electric motor thus extending its mileage. Other system which was being explored simultaneously was to have Photovoltaic (PV) solar panels to charge the batteries as the EV is being driven during day time. The additional charge from the PV panels will definitely keep the batteries juiced up when it is on the road. This system worked very well on sunny days but ineffective during night time. Although not perfect, the range of electric trial cars got broadened. Due to the technology improvements in the recent years, the public interest on pure electric cars has increased tremendously. As battery designs have become smaller and lighter, the life span of a charged battery is also improving. With the constant improvement in battery technology, it is only a matter of time before the practically of EV out strip a car using an internal combustion engine. The only problem now is the cost of such batteries which makes electric cars more expensive. With the advancement in the technology and mass production, prices are expected to come down. There is a hope such cars will be available in the market in next couple of years. As a matter of fact, you can already purchase road ready pure electric cars from BMW, Chevrolet, Nissan and Ford. Understandably, EVs are not as good as their fossil fuel burning brothers. But give it some time, technology will make it better.